The fact that Gulen might not survive extradition to Turkey only adds to the moral bankruptcy of the idea. In the unending swirl of shocking statements and decisions by the Trump administration, the latest scoop by NBC News could easily get lost. But it is nonetheless jaw dropping to hear reports that the administration may be thinking about surrendering to Turkish demands to extradite a long-time U.S. resident for the sake of placating Turkey and protecting Saudi Arabia in the wake of Saudi journalist Jamal Khashoggi’s brutal murder. According to four people interviewed by NBC, the White House has instructed the Justice Department, the FBI and the Department of Homeland Security to find a way to remove Fethullah Gulen, a former ally-turned-foe of Turkish President Recep Tayyip Erdogan. Erdogan claims Gulen was the mastermind behind a failed coup against him in 2016. The elderly Gulen has lived in rural Pennsylvania for close to 20 years. He is a green card holder, or permanent resident of the U.S., and he adamantly denies Turkey’s accusations. 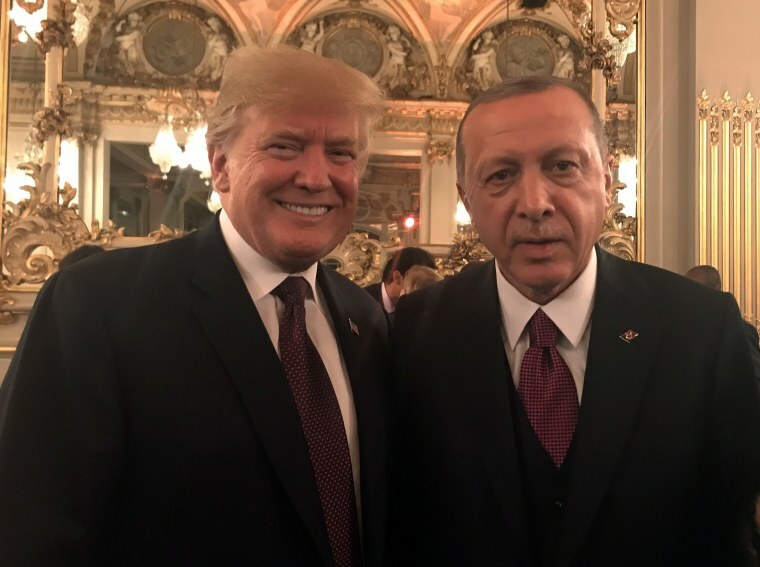 But Trump presumably hopes that if he turns Gulen over to Turkey, Erdogan will return the favor by easing his campaign against Saudi Arabia, an important American ally that has been under intense scrutiny following the Khashoggi killing. Trump presumably hopes that if he turns Gulen over to Turkey, Erdogan will return the favor by easing his campaign against Saudi Arabia. That system is designed not only to prevent politicians from interfering with what should be law-enforcement issues, but also to protect individuals from foreign governments fabricating charges for political purposes. Undercutting the system for the sake of protecting the Saudis makes the White House plan even more sordid. The fact that Gulen might not survive extradition to Turkey — Erdogan has said coup plotters should be beheaded — only adds to the moral bankruptcy of an idea that would further erode America’s position as a country of laws. The White House has been scrambling to manage the fallout from the Kashoggi assassination. Saudi Arabia has finally admitted that its agents killed and dismembered the journalist after he walked into the Saudi consulate in Istanbul six weeks ago, although they claim it was a rogue operation. Erdogan has done everything in his power to use the situation to his advantage, releasing information incriminating the Saudis. The crisis has certainly thrown a wrench into Trump’s Middle East policy. The Saudi de facto ruler, Crown Prince Mohammed Bin Salman, has been a key partner in the U.S. strategy to isolate Iran and develop and Israeli-Palestinian peace plan. The prince’s troubles thus became Trump’s. We also know that Erdogan has been obsessed with Gulen, who before the crackdown was supported by many Turks. Erdogan has imprisoned at least 40,000 of Gulen’s supporters, and systematically removed his backers from positions in the police, the judiciary and elsewhere. In an even more astonishing turn, former CIA Director James Wolsey claimed that Flynn and his son met with Erdogan associates to discuss a plan to secretly kidnap Gulen and fly him to Turkey, for which Flynn would allegedly be paid $15 million. One of these meetings allegedly occurred in December 2016, after Trump had already been elected and Flynn designated his top National Security Adviser. Clearly, the Gulen case is already toxic. Career officials in the government have already determined that Turkey’s extradition request does not meet the minimum requires for the U.S. to hand over the aging cleric. Thus, the idea of using him as a pawn to solve a major geopolitical conundrum is further evidence of an administration increasingly unmoored from ethical considerations and respect for human rights. Gulen’s life may seem small when compared to the issues at stake. Discarding him could not only help ease tensions between Saudi Arabia and Turkey, but it could also aid in repairing frayed ties between the U.S. and Turkey, a NATO ally with which the U.S. has clashed repeatedly on Syria, the Kurds and other issues. The White House, according to NBC’s sources, is also considering other options. Perhaps instead of sending Gulen to Turkey they could compromise by sending him to a third country such as South Africa or maybe find some problem with his immigration status. But sacrificing Gulen to help the Saudis shake a murder rap would bring more harm than good to America. It would be a betrayal of America principles; it would injure the country’s rule of law — already embattled under Trump — and would further tarnish the U.S. standing on the global stage. Frida Ghitis writes about world affairs. A former CNN producer and correspondent, she has worked in more than 60 countries. She is a weekly columnist for World Politics Review, a contributing columnist for the Washington Post, a regular contributor to CNN and frequent contributor and on-air commentator for major news organizations around the world.